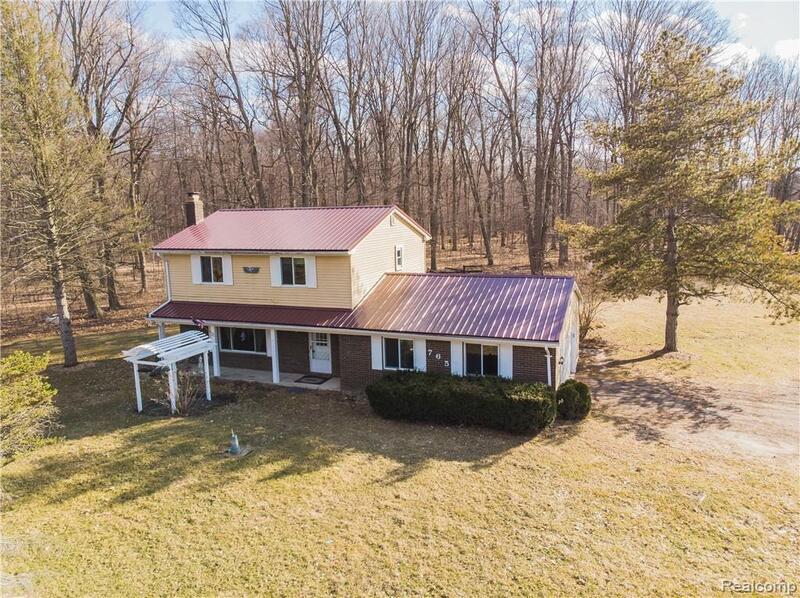 Large lot 4.64 acres with plenty of mature nature surrounding along with many new updates. A few miles from lovely downtown Lapeer, this home offers 3 spacious bedrooms, 1.5 baths with a large attached garage. Updated galley style kitchen offers plenty of cabinet space and brand-new oven, fridge, and dishwasher. Additional newer features include a brand-new metal roof, furnace, and whole house water filter. 30 x 40 pole barn has water and electricity. Call for more information or to schedule a showing.